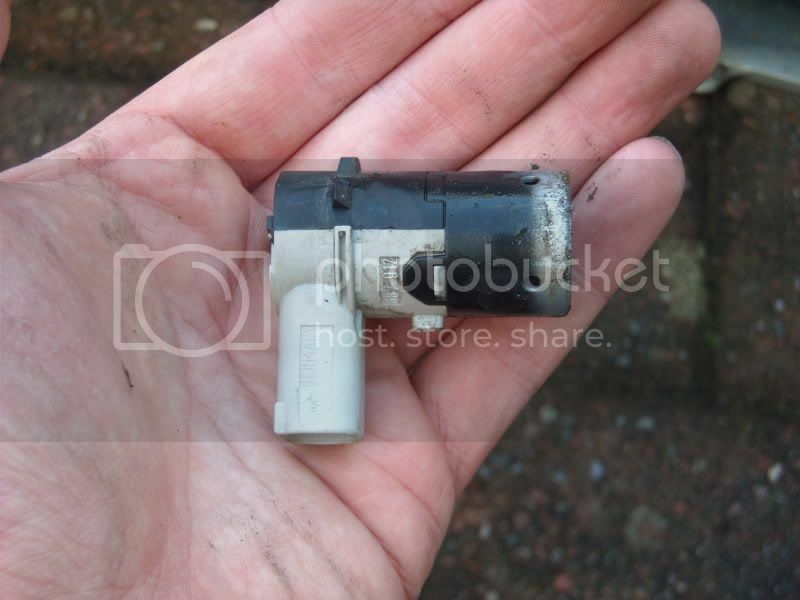 How to replace a rear parking sensor on an E60 SE model. 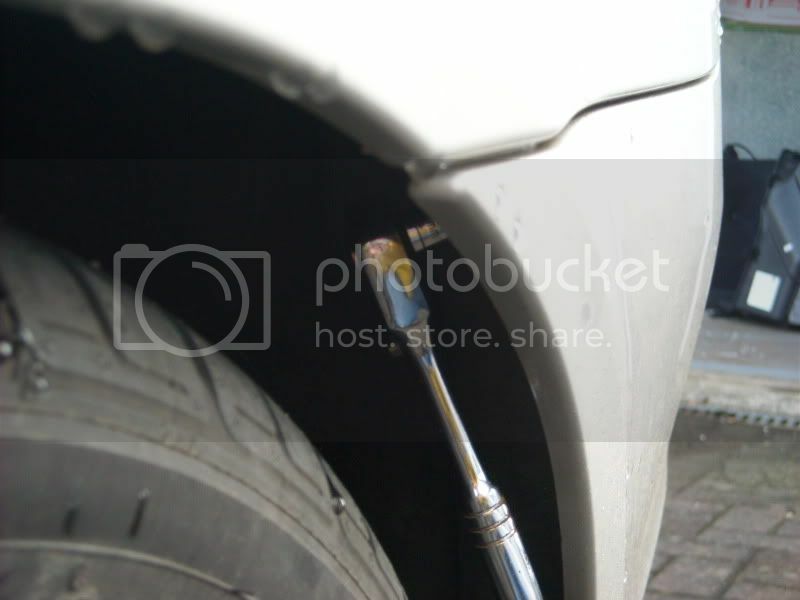 A Sport model will be very similar but will/may have slightly different methods of fixing the bumper to the car. 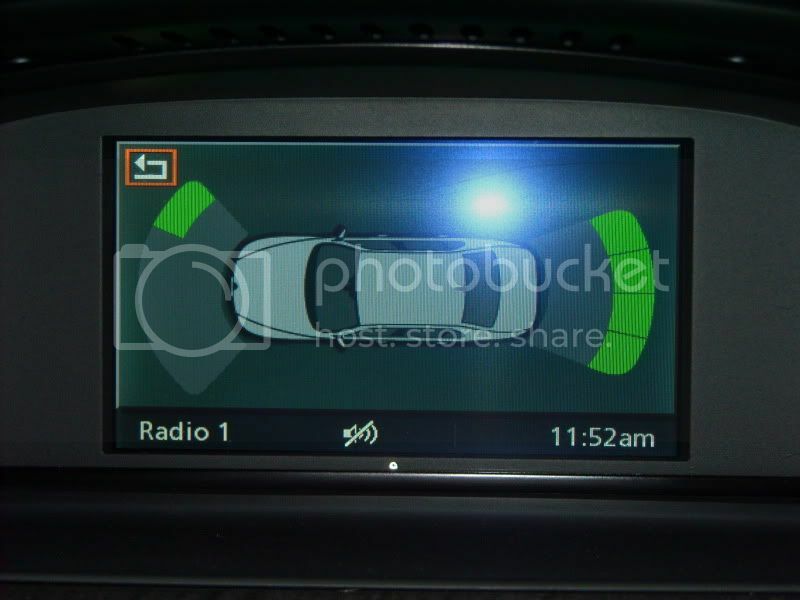 A faulty parking sensor can be identified by switching on the system and placing your ear next to each sensor in turn to listen for a clicking noise. The one that doesn't click is faulty. To replace the sensor you need to take the bumper off. 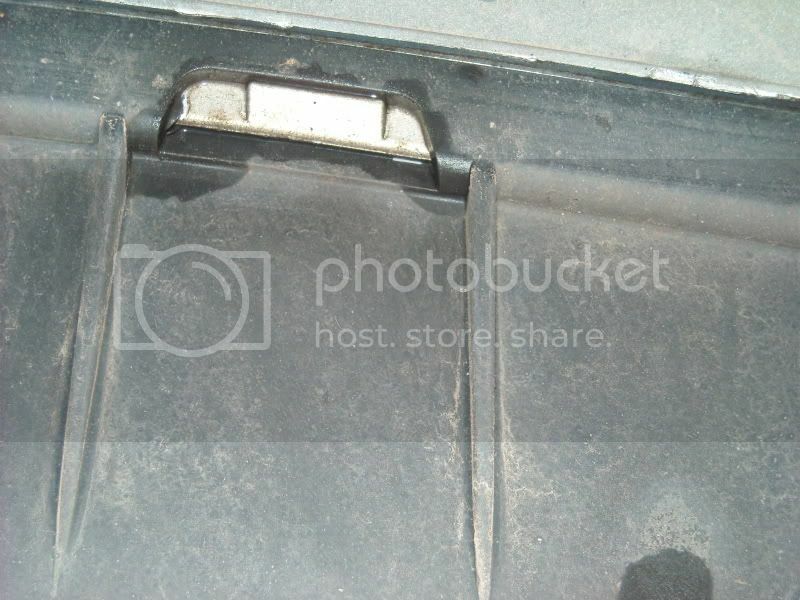 Remove the two inner wing trim panels from the boot, twist the black screw heads thru 90 deg and they pop out. You may need a big flat screwdriver to help ease out the trim panels. This exposes the two TXStar bolts on each side. 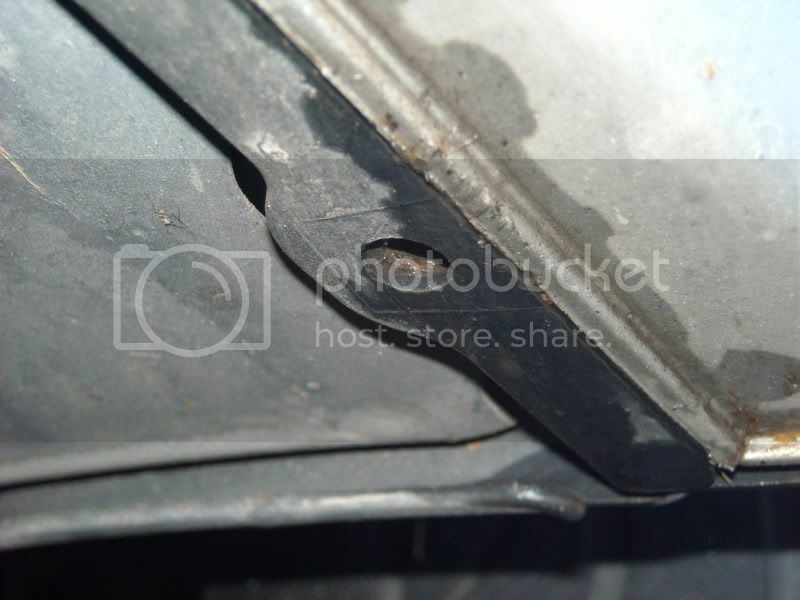 Undo and remove these bolts. The outer bolt is to the left of the head of my ratchet. 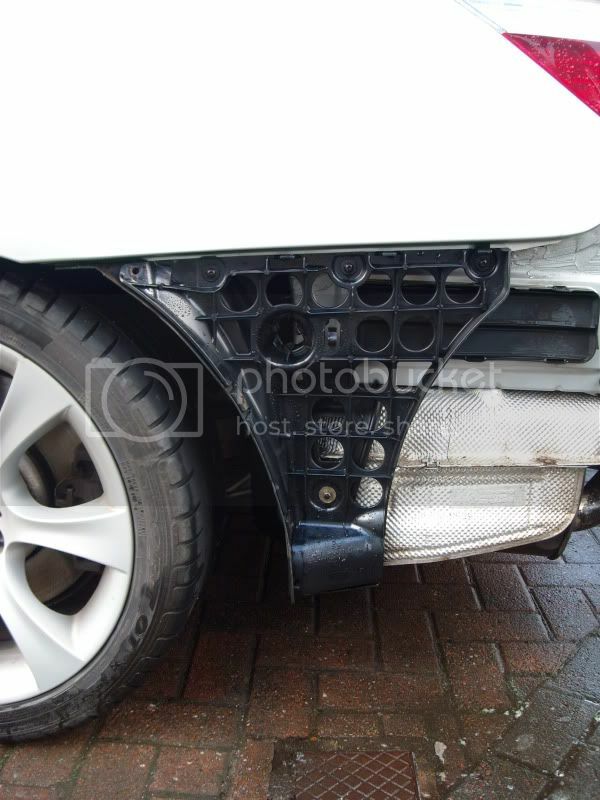 Each side of the bumper is fixed to the rear wheel arch liner with 4 small 8mm screws. There are three screws lower down and one near the top of the bumper. There are also expanding rivets to be removed on the underside of the sode of the bumper just behind each rear wheel. 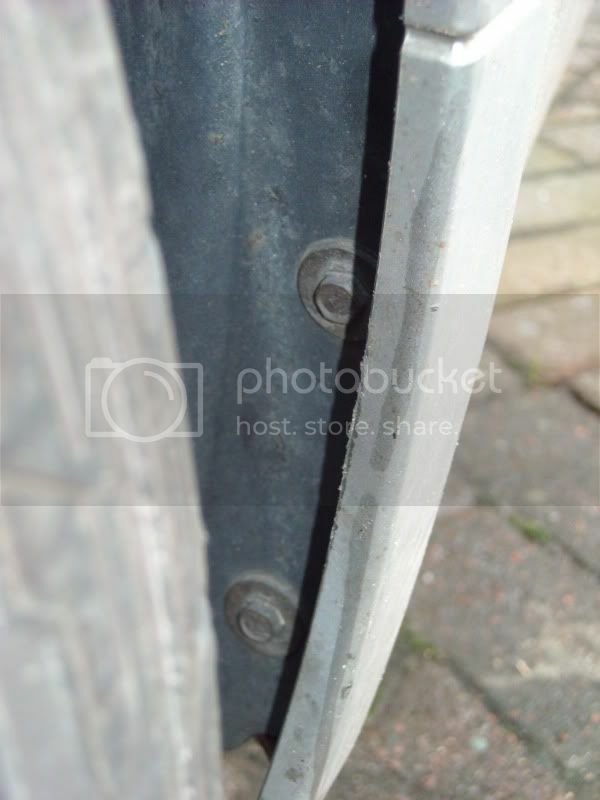 I had previously had to drill out these rivets when I had the bumper off to fit my towbar and I never replaced them. 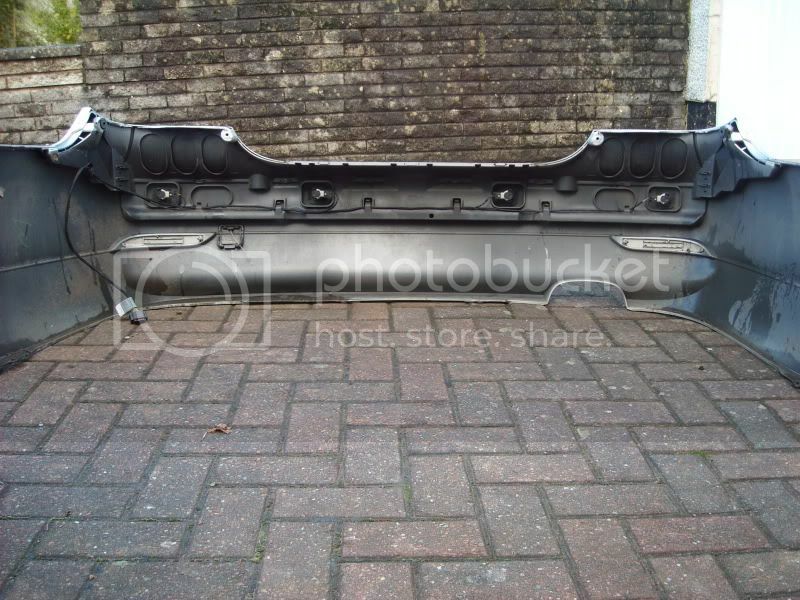 The bumper is also clipped in to a black plastic guide at the bottom in the centre, you may need to prise out the clips with a wide screwdriver. Gently pull each side of the bumper out of its guides from the wheel arches and then lift off from the rear guides, try not to let it fall! The parking sensor wiring loom is attached at the offside rear corner. 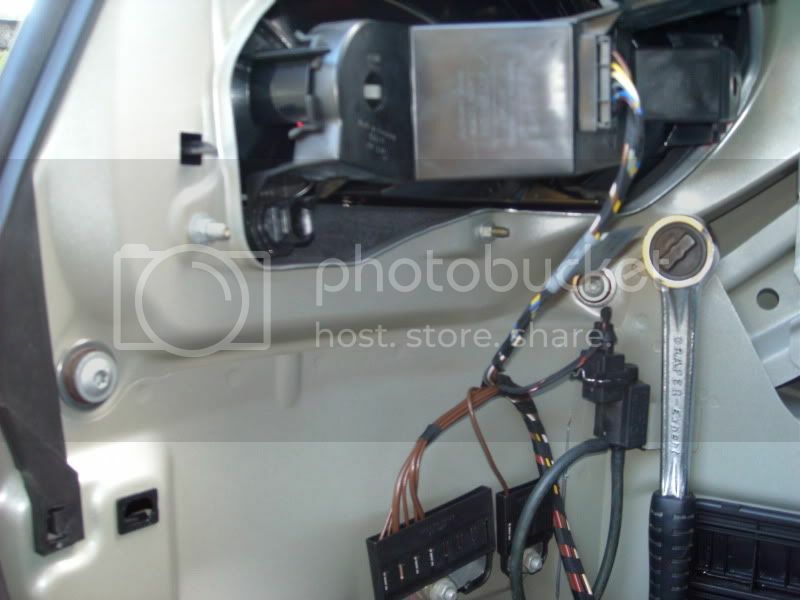 There is no need to disconnect the loom from the car just to replace a sensor as there is enough slack in the cable to get in to un plug the sensor. Rear nearside side support brackets. The expanding rivet is located at the bottom of this support. A shot that you don't see very often. The sensor in question is second from right in this photo. Unplug sensor and then unclip sensor from within bumper and fit new one. Sensor is nothing really! Refitting is reversal of removal. The bumper will clip into its position with very little effort. It took me 30 mins to do this job today, but I knew what I was doing having taken the bumper of last weekend to have a look and previously when I fitted my towbar. A new sensor OEM (SWF) was bought from Ebay for £20 inc postage, I had to paint the sensor myself, it came painted but not to my colour. I used my paint touch up stick to put two coats of my paint colour on. You can't tell from a distance but for £20 I'm more than happy. BMW wanted £130 for a painted part. So I've saved myself over £100. 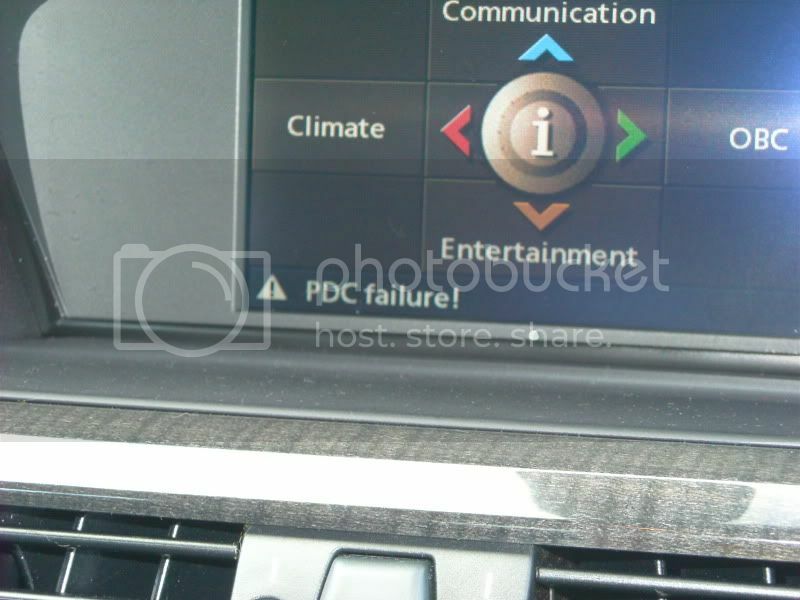 There is no need to take the car to BMW to get the system reset on completion. The system recognised the new, now working sensor and was quite happy. Nice post, Andrew. I think these are always great for the DIY'er. As long as we don't need dealer resets we're fine. this worked a treat, followed your instructions and now sensors are working perfectly. Thanks very much for puting this together. Glad I could help you out Davie. That's what the forums all about. Andy, thanks for detailed instruction. I need to fit my centre guide (the one which keeps the M Sports diffuser in place) do I need to take full bumper off. Is there any easy diy for taking just the diffuser off to have a look first. how different is m sports bumper removal process? 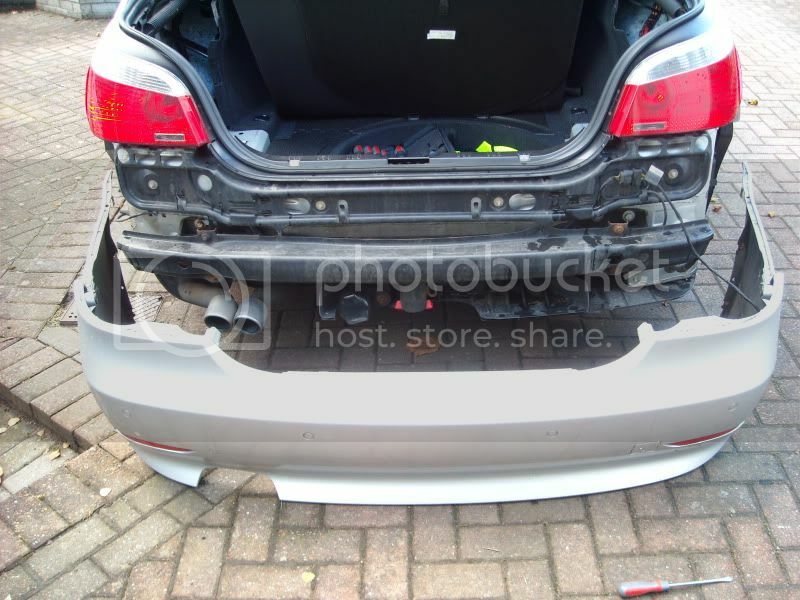 But I'm guessing that the diffuser is fixed to the bumper from the inside, so you will probably need to take the bumper off to access the fixings, just like the reflectors on the SE bumper are fixed from the inside. 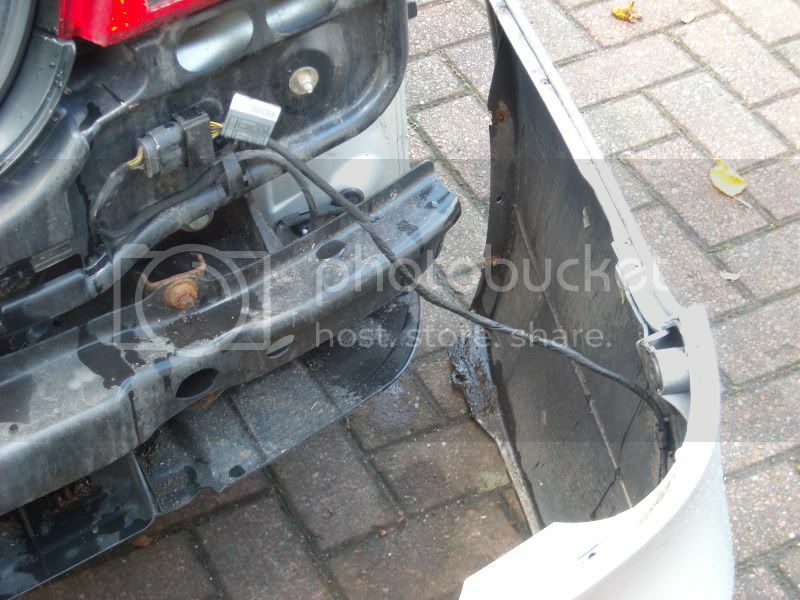 It won't take you long to remove the bumper to find out as it won't be hugely different to my bumper fixings. thanks Andy, I will do it on a sunny day and post here. Given it doesn't get too cold outside. I managed to fit the center guide without removing the bumpers. I could just manage to insert my hand in the gap and do the screws, rest were easy. thanks for your help. Hi - awesome feature made a job i was dreading doing really easy. But now got another issue ! I fitted the sensor - the annoying 'boing' has disappeared along with the warning everytime i start up - the sensors are now making 'noise' when something is in proximity but i have not got my display on ? Any ideas could i have done something wrong? Check the settings on your iDrive, I think you can tell it not to show the picture but till activate the PDC. Do the sensors now detect an object placed in front of them? When you unlock the car you should hear the sensors click as they do a test on unlocking the car, if you hear the clicks at each sensor then you know that sensor works. Failing the above you might need to get a diagnostic done on it. I have same problem with sensors. I was trying to put ear next to bumber but I can't hear anything. I just bought e60 to replace from e46 coupe. I think maybe prev owner disconnected sensors. Do you know if there is a difference between the actual sensor differing front from rear? I beleive so. The front sensors are a slightly different diameter. The rear sensors have a 90 deg fitment on them, the front ones are straight I think. Brilliant Andrew, followed to the letter. Just for info The M5 bumper is exactly the same procedure. Did it take you long Cambell? No mate, from start to finish was 1hr 5 mins, most of that was cleaning the exhausts as I was disgusted with them when I got the bumper off. Had a small 4mph incident at a roundabout where I hit someone up the arse. Classic I know. Straight away my all the parking sensors stopped working. No damage to body work apart froma cracked no. plate. Someone said that a plug may have come loose ? How can Icheck this and do I have to take the whole bumper off ? its an o0 plate 525d saloon. Thnaks in advance.